The Oshkosh Sunnyview Expo Gun Show will be held at the Sunnyview Exposition Center in Oshkosh, WI. This gun show is promoted by Bob and Rocco's Gun Shows. 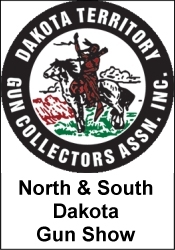 300 tables All federal, state and local firearm laws and ordinances must be followed. *** Please verify the show times and dates before attending the "Oshkosh Sunnyview Expo Gun Show", as they are subject to change.